A lot of people worry about becoming “too chilled out” or “losing their edge” when it comes to meditation. Well, I can assure you that the Transcendental Meditation technique makes me a lot better at my job (and my life, really), but don’t take it from me. In the article below, courtesy of the Financial Times, author Charles Wallace discusses his experience with stress, meditation, and the TM technique. July 28, 2014 For the past month, I’ve felt at times like my hair was on fire. I made the mistake of trying to move house to a new region and change offices at the same time, while trying to complete some major work projects. I have written previously about the dangers of long-term workplace stress. So what do you do about it? Too many people in the US and UK resort to tranquilizing drugs or sleeping pills to deal with chronic anxiety. One recent study found a 12.5 per cent annual increase in prescriptions for benzodiazepines such as Xanax and Valium. My personal answer to stress has been meditation, albeit practised somewhat erratically and with mixed results over the years. 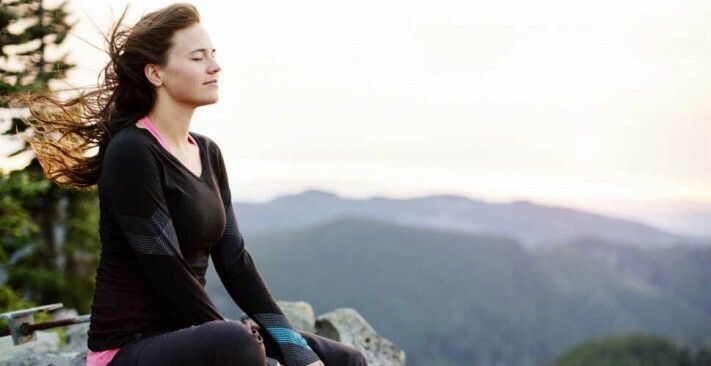 I have tried several types of meditation, including mindfulness, which involves focusing your attention on your breath for certain periods of the day. But the most calming sort I have found – it’s really up to the individual – is Transcendental Meditation, which involves repeating a mantra for two, 20-minute periods a day. It turns out, I am not alone. Bridgewater, the $150bn hedge fund based in Connecticut, has hired the foundation started by film director David Lynch, a noted meditator, to teach 400 of its employees to meditate. Bob Roth, the affable executive director of the David Lynch Foundation, recently told me that he was being increasingly sought out by Wall Street executives because TM helps people “become more dynamic, more focused, more creative and yet not consumed by stress”. He emphasises that TM, which was popularised in the 1960s by The Beatles, doesn’t espouse any particular religion or philosophy and is simply a relaxation technique. For the sceptical, he says, there is now a considerable body of scientific research that shows that meditating helps reduce heart attacks, blood pressure and stress. What about those who fear that meditating will make them lose their “edge” – that aggressive, Type-A behaviour that they use to conquer opponents in the marketplace? Dr Friedman says that he has had many patients who are so-called Type-A personalities and that they usually have a surfeit of assertiveness and initiative. “They probably have more than then they need – it’s unlikely they will be defanged and turned into a Type-B by meditating. But they might feel less tense,” Dr Friedman says. A good example is Michael Desmarais, head of global recruiting for Goldman Sachs in New York, who says the loss of edge is a misconception that he worried about before starting TM. Mr Roth says he urges harried executives to schedule meditation time just like they do other appointments by having their secretaries hold all calls for 20 minutes. Some may balk at the $960 price tag to learn TM (Bridgewater pays half of its employees’ tuition costs). But if you have learnt to play tennis or golf, you will know that learning from a skilled teacher is always better than from a book. You can find the article in it’s entirety here (paywall).